In recent years gut health is really starting to get the spotlight. Even accompanied by research, the public is barely starting to realize that the gut is the Gateway to Better Health. In an effort to share knowledge and show support for sufferers of digestive issues, Health Plus acknowledges that August is Gastroparesis Awareness Month. Gastroparesis or “stomach paralysis” is a condition that affects just under 200,000 people in the US annually. 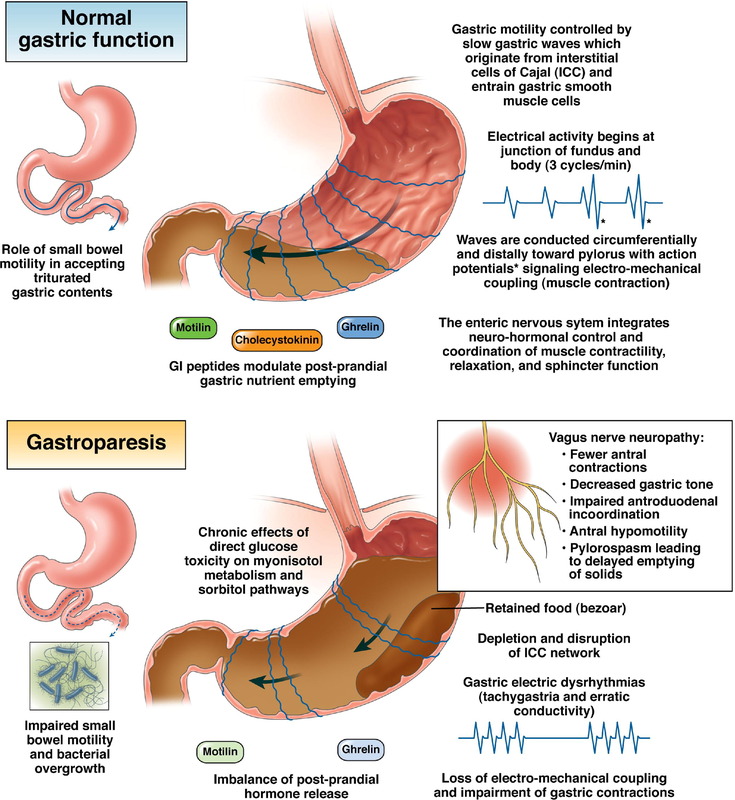 This delayed gastric emptying is caused when the normal spontaneous movement of the stomach slows down, preventing the stomach from emptying properly. The cause is unknown. However symptoms may begin following virus infections, surgeries, some medications or illnesses such as complications of diabetes. Most people have idiopathic Gastroparesis, meaning a doctor may not be able to identify the cause, even with medical tests. Even though there is no cure, treatment can help to relieve symptoms that may last from years to life-long. For people with Gastroparesis, proper nutrition is the main focus of treatment as some foods are more difficult than others for the stomach to digest. Limit fiber intake. When eating, chew thoroughly. Also, cook food until soft or puree in a blender.